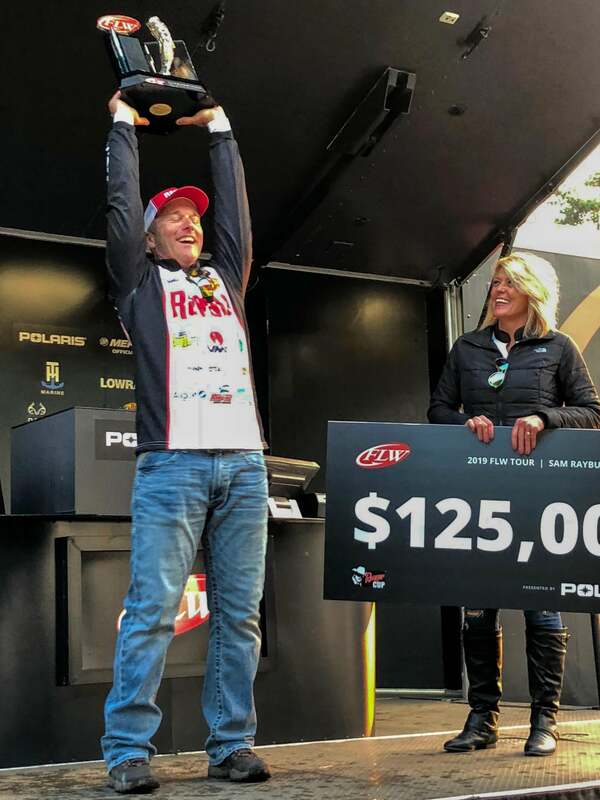 Terry Bolton just got back from the 2019 FLW Tour bass tournament on Sam Rayburn where he found the winning groups of bass to earn $125,000. The biggest question we’ve heard since then is how do you find the best bass fishing spots on a lake in just 3 days. So we thought we would work together to provide real world examples of how you apply the 6 bigger takeaway points to finding the best fishing spots on any body of water. 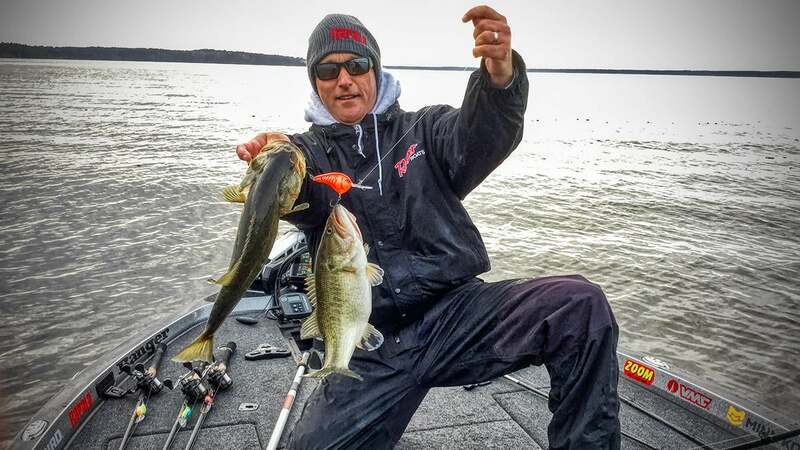 Bolton had some history in Texas and on Sam Rayburn, so he was able to capitalize on that knowledge of the early prespawn seasonal patterns —namely points and drains with inside grass lines. "I knew I wanted to concentrate on the north end of the lake that had been protected from cold north winds all winter and that wouldn't get blowed out on a north wind the week I was fishing there," Bolton said. 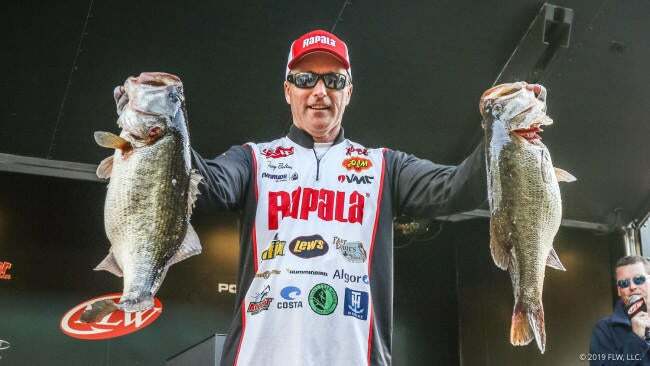 "I have done well in Texas this time of year dragging Carolina Rigs and especially on Sam Rayburn when we came here a lot on the FLW Tour in the 1990s and 2000s. 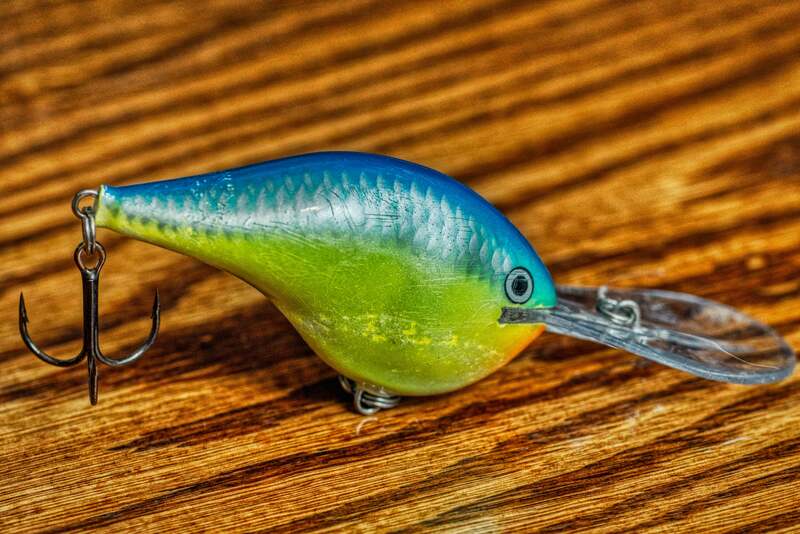 But I also had it in the back of mind that a lot of guys had beat me with a crankbait." This time around, the lake was different because there was so much more hay grass in the lake, and that made finding grass edges more difficult in areas. But it also meant his search could get more refined and defined, as there weren't as many clear edges on those drains. Knowing that you want to fish north banks in the late winter because they get more sun and are protected from cold winds is one of the seasonal patterns that helps you eliminate a ton of water. The more you know about a fishery before you arrive, the more you can rule out a lot of water before hand. You can find tournament results for a lot of lakes online. You can find guide reports and more. There is a lot of seasonal information that you can figure out if you don't have experience on a body of water. If you do happen to have a lot of time on that body of water, try to find common denominators about the times you caught fish on that body of water in similar seasons. Don't apply catches from the summer to trying to fish in the winter. They are often in very different areas. "I don't care how good your graphs are," Bolton said. "If you'e not good at reading your maps, you won't know where to start on a big body of water. 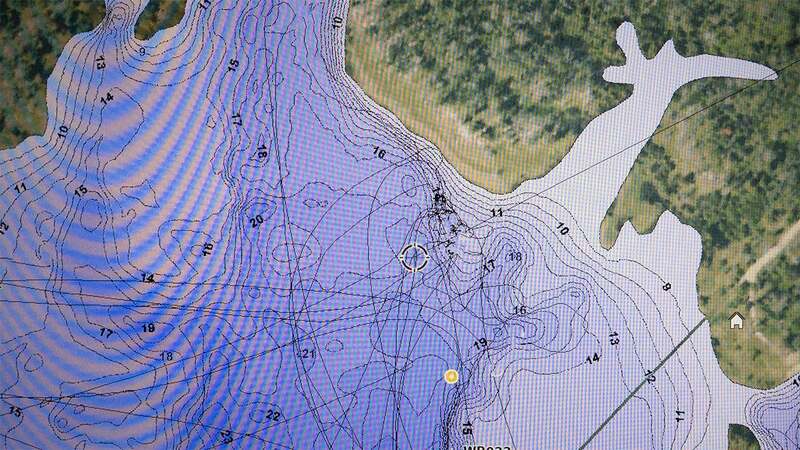 I was able to look at my Lakemaster maps on my Humminbird and figure out exactly where I wanted to start scanning. This narrowed my fishing time way down and allowed me to find 7 or 8 spots in three days that were yielding good fish." Bolton is an old school map guy. But he used the very detailed maps on the Lakemaster chip to figure out exactly where drains came out of pockets and bays and intersected points where he thought he could find grass edges in the right depth zone. Use maps to find fishing areas that fit the seasonal conditions. In this case, it was drains coming out of spawning areas that brushed up against points or created hard edges that had voids or defined grass edges. Sometimes it might be creek channel ledges. Sometimes it might be spawning flats. But use your map to identify the likely areas that fit the seasonal patterns for the lake. When he got into the drains, he would start idling around looking at the grass and trying to find edges. "I would idle the center of these pockets looking for the drains," Bolton said. "And I would scan the area looking for some sort of edge or clear spot that created an edge. A lot of the drains would be filled in with solid grass. The hydrilla line ended around 12 feet, but some areas had hay grass that grew all the way to the very edge of it. So there wouldn't be a bare area on the edge. Turned out, these bare spots would be the key to my better spots. "I would start in the morning where the points and edges of grass led into the drains and then work my way out as it got later in the day. In the mornings, there would be white bass and bass, and everything was up and active. "The spot I found the last afternoon, I only made two throws on it, so I wasn't really sure what I had there. The spot I started on each day, I found the second day, and I've scanned spots like this enough and ledges on Kentucky Lake to know I had something there pretty special. I caught 4 fish in 4 throws, and they got bigger on every cast. I knew this was going to be a key area." He hunted on his graphs quite a bit for three days, but he also fished a lot. He had found these bare spots were so small, you could often find them faster casting a bait you could cover water with quickly. Which leads to the next caveat. Bolton relied on his knowledge of the DT Series of crankbaits from Rapala throughout his practice and tournament. As well as a Carolina rigged Zoom Lizard and a 3/4-ounce Accent Spinnerbait. He chose those lures because he has a ton of confidence that he has built up over years of ledge fishing around the country especially on the TVA chain as well as Texas. He knew he could use various diving depth crankbaits to cover the water up and down the grass edges looking for clear spots. The more you fish, the more it builds up confidence in certain lures. We all have our favorites whether it's a special worm, spinnerbait, crankbait or jig. They became our special lures because we caught numerous fish on them. That is what you rely on to verify what you think are good areas or where you think you see fish that might be bass on your graphs. "When you got across them, you could have thrown a dead cat over them, and they would have bit," Bolton joked. "So I would get the series of crankbaits and spinnerbaits and just go cover water in practice. I wanted to be able to fish the edges and figure out where the fish were moving in and out with baits that hunt. "The DT Series really allowed me to fish over the grass cleanly and get into those very small spaces where the fish were grouped up. When you got the right line up on a couple spots, it was every cast for hours. But it took a lot of casts to find those lineups." "I got a better understanding of what was happening each morning and afternoon of the tournament," Bolton said. "There was definitely a timing deal as to where I needed to be first thing and then later in the day. I also figured out fish were moving up and down in the water column throughout the day. Sometimes I wanted to be deep, and other times, I wanted to be in the same place but higher up in the water column. "When I figured that out, I was able to mix in the DT 10 and DT 14 where I had just been throwing the DT 16 the first day. I found a few key fish slow rolling a spinnerbait in other places because I was really understanding what was going on in my 3 key places. I was able to run to some of the other places where I had bites but didn't really have schools and capitalize the last two days with several big culls that really allowed me to win the tournament. "I would run off and let my best stuff rest and pick up a key fish here and there on places that didn't have the big schools. They were, however, places I could duplicate what I learned in my other key areas. It really opened the lake up for me." Again knowing you have lures that are consistent producers when you are around fish and then building off what you found through map study and how the fish were positioning in other key areas, allows you to expand and find more. The lake starts to open up the possibilities to you, and it's almost like you are piecing together a bigger puzzle. Some people said that Bolton was emotionless at times during the tournament. He was focused and confident. He was keeping himself from getting too high or too low and building on his confidence. Confidence gives you the ability to make adjustments on the fly that you can then go and try things and places that fit what you learned. Confidence is what helps you stick with it until you get them going and also when to move when you know it's not going to happen. "Scott Martin pulled me aside Saturday afternoon and said, 'Alright Terry; it's time. You're not going to lose. You're going to have adversity, but you're going to figure it out. You're going to make the right adjustments and you're going to win.' So he was giving me a pep talk to stay confident in the fact I was doing the right thing and I was figuring it out." Bolton ran to Beach Basin at 2 pm the final day and culled out 3 fish on place he hadn't fished all week because he felt like he needed to make an area adjustment and get a few more pounds to secure the win. "I lost a big one in the last few minutes and thought I had let another tournament slip away. But then I culled on the next cast and thought it might be close. I caught north of 200 bass in four days and caught a 33-pound limit one day and won with 91 pounds. 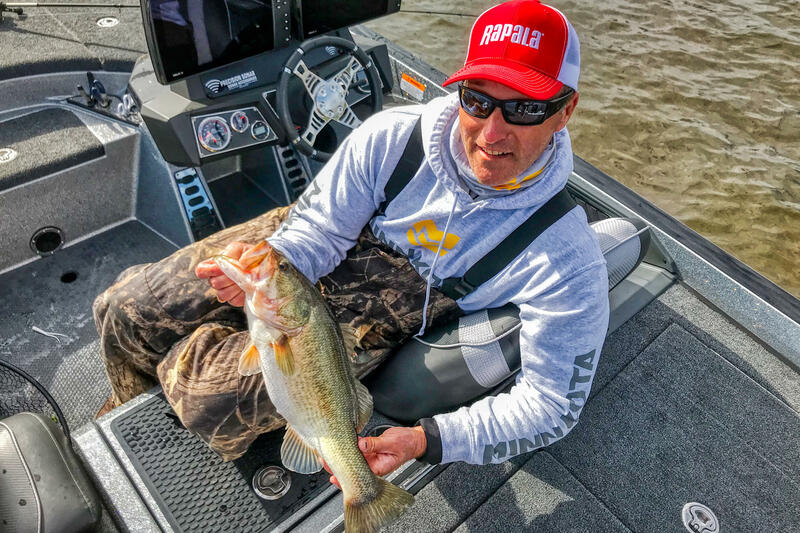 It wasn't until they called the weight on the final day that I accepted I had found the best spots to fish on the lake that week." Where to Fish Near Me?